Vince Gilligan is set to write and direct a two-hour Breaking Bad film, but it's unclear if it will be made for TV or for theaters. The Albuquerque Journal first reported of the project, registered with the New Mexico Film Office. According to The Hollywood Reporter, "details on the project, which has been floating around the industry with a possible fake/working title of 'Greenbrier,' are slim. It's unclear if the movie would be another prequel — like AMC's Better Call Saul — or a follow-up of some sort. 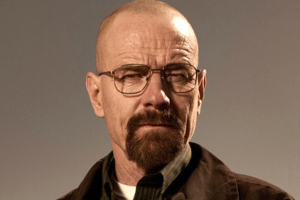 It's also unclear is if any of the original stars, such as Bryan Cranston or Aaron Paul, are involved in the new project, which sources stress will be set in the existing Breaking Bad franchise." According to Deadline, the film is "envisioned as a standalone installment in the Breaking Bad franchise that lives in the Breaking Bad universe." The film would be the first project in Gilligan's new three-year overall deal he signed with Sony TV in July.